As much as I thought I had prepared to hike the Inca Trail to Machu Picchu, somehow I missed the fact that those industrious Incas paved the trail. And not with asphalt, but stone. Big, small, irregular…no real consistent approach. And they threw in stone staircases just to make it interesting. By the time I finished the four days of trekking I had a renewed appreciation and admiration of their stamina. 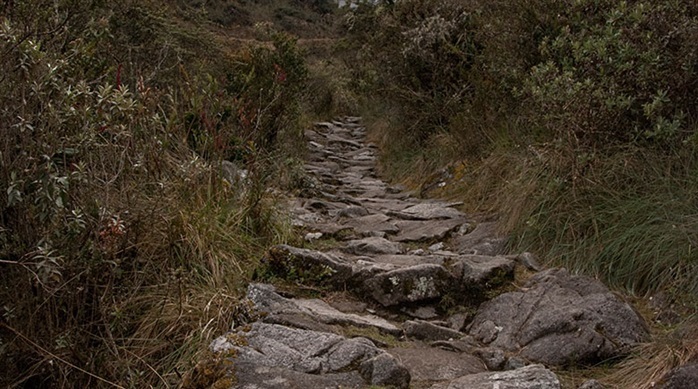 The trail is about 500 years old and served to connect the capital, Cuzco, with the outlying palaces and villages of the Inca realm. Couriers would run the trail (that is another incredible fact) and stop to rest at tambos. 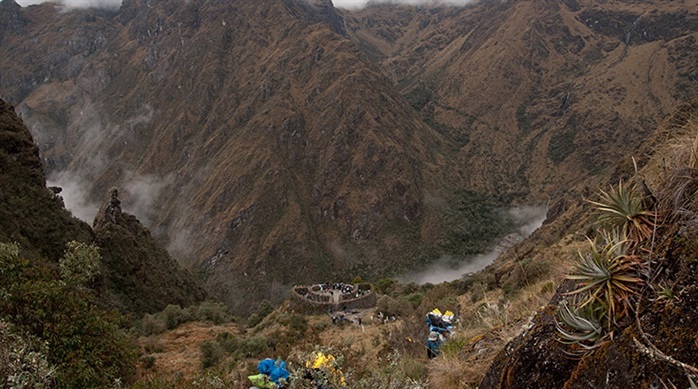 All along the trek there are fascinating Inca ruins. 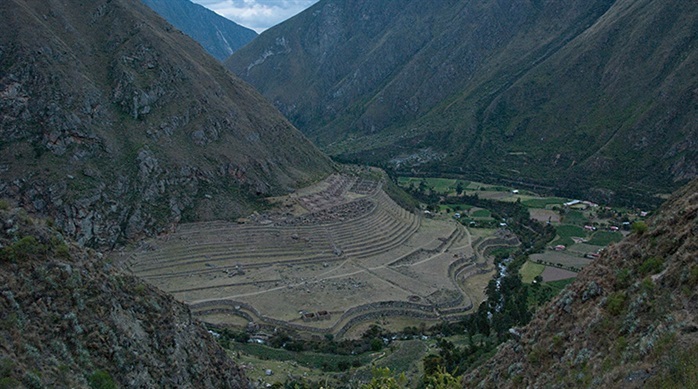 One of the first is Llactapata or "High Town" in Quechua, the Inca language. Situated at 9318 ft. in altitude it was primarily for crop production. 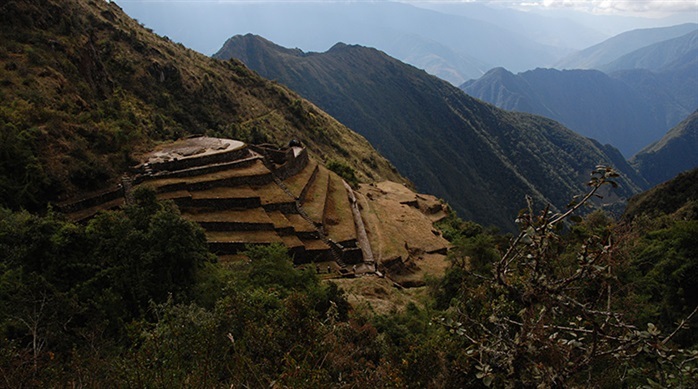 Runkuraqay is believed to be one of the rest stops or "tambo" used by couriers. Phuyupatamarca was a religious site, complete with extensive baths and is considered one of the most beautiful sites along the trail. It's perched at 11,000 ft. and usually is covered in clouds. Entering into Machu Picchu through the Sun Gate is breathtaking. You still have about an hour trek to actually get to the ruins of the citadel. It was built, inhabited and abandoned between 1400-1500 AD. In 1911 it was rediscovered by Hiram Bingham and though excavations continue to take place there aren't any definitive answers as to the primary purpose. It is believed that approximately 1000 people lived there at its height. 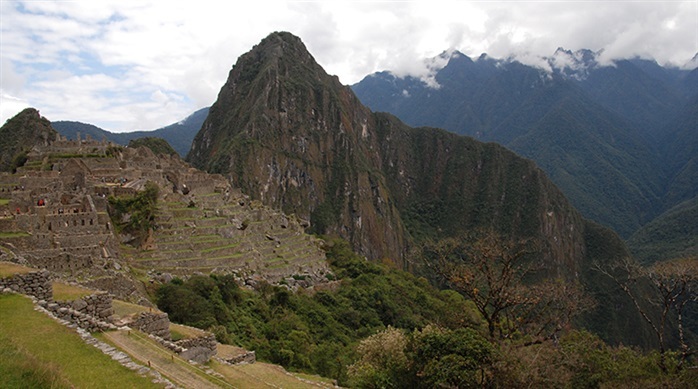 Whether approached by the Inca Trail or by the train to Aguas Calientes and the bus up the hair-pin road Machu Picchu provides unforgettable vistas.